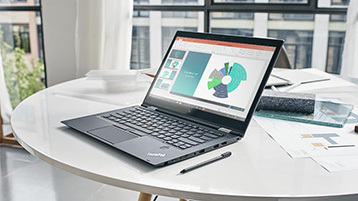 PowerPoint 2019 includes several new features that aren't available in prior versions. 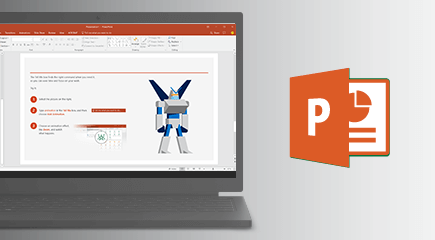 PowerPoint 2019 comes with the Morph transition, which can help you make smooth animations on your slides. 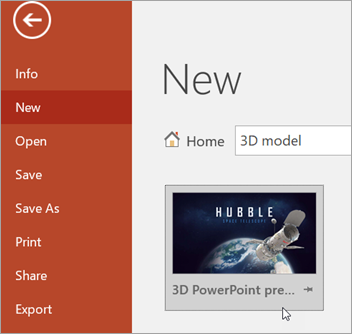 To make a presentation more dynamic and to allow for custom navigation within it, try Zoom for PowerPoint. 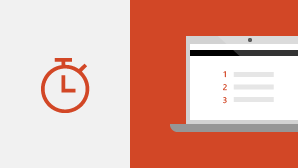 When you create a Zoom in PowerPoint, you can jump to and from specific slides, sections, and portions of your presentation in an order you decide while you're presenting, and the movement from one slide to another uses a zooming effect. PowerPoint 2019 now has a Text Highlighter similar to the one in Word, by popular demand! Pick different highlight colors to emphasize certain portions of the text in your presentations. You can insert and edit scalable vector graphic (SVG) images in presentations to create sharp, well-designed content. SVG images can be re-colored, and they don't lose any quality if they are zoomed or resized. Office supports SVG files that have filters applied to them. 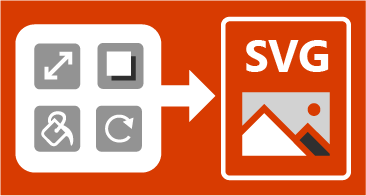 Converting an SVG image or icon to an Office shape means you can disassemble the SVG file and edit individual pieces of it. Use 3D models to increase visual and creative impact in presentations. Easily insert a 3D model, and then rotate it through 360 degrees. 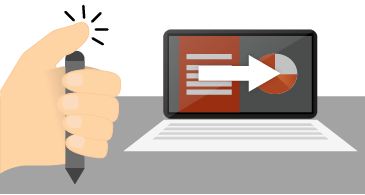 Bring a model to life in your presentation with the Morph transition, which creates cinematographic animations between slides. We've made it easier to remove and edit the background of a picture. 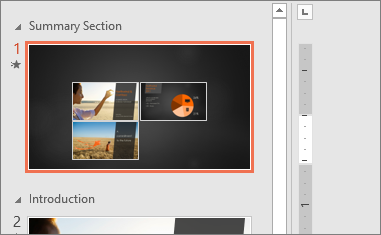 PowerPoint automatically detects the general background area; you no longer have to draw a rectangle around the foreground of your picture. The pencil for marking areas to keep or remove can now draw free-form lines, rather than being limited to straight lines. You can also draw free-form lines using the pencil for marking areas to keep or remove—no more being limited to drawing just straight lines. 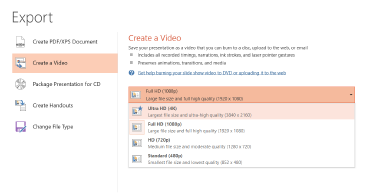 When you export a presentation to video, 4K resolution is now an option. You can record video or audio narration, and you can record digital inking gestures. An optional Recording tab on the Ribbon pulls together all the recording features in one place. Choose a personal set of pens, highlighters, and pencils for inking, and have them available to you across the Office apps. Along with numerous colors, you can use ink effects to express your ideas with flair—metallic pens and ink effects like rainbow, galaxy, lava, ocean, gold, silver, and more. Segment Eraser allows for precise control when you are tidying up an ink drawing. It erases ink back to where it intersects with another line. On devices that have touch screens, you can use the Ruler on the Draw tab of the ribbon to draw straight lines or to align a set of objects. Position the ruler horizontally, vertically, or anything in between: it has a degrees setting so that you can set it at a precise angle, if necessary.